Yesterday marked the second Sunday of March, and it is likely that you were one among millions who begrudgingly gave up an hour of your weekend. For nearly one hundred years, the American public has changed their clocks according to Daylight Saving Time – unless you live in Hawaii or Arizona, of course. This practice was borne from a need to conserve fuel in a time of war. Though the concept of DST has existed for hundreds of years, it was not adopted until World War I. It intended to decrease the use of artificial light, saving fuel for the war machinery in Germany. The United States returned to standard time following the war, but it returned during the Second World War. President Franklin D. Roosevelt instituted “War Time,” which made DST a year-round effort. Daylight Saving Time was not mandated, so states and localities had the freedom of whether or not to observe this practice. Confusion ensued among trains, buses and broadcasting regarding their schedules in various states. The Uniform Time Act of 1966 enacted by Congress set a standard for DST, stating it would begin on the last Sunday of April and end on the last Sunday of October. States, however, could still be exempt. 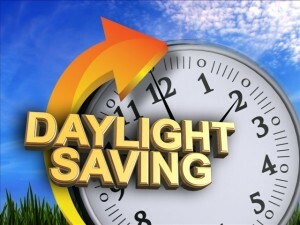 Following several revisions of DST, the Energy Policy Act of 2005 gives us what we adhere to for Daylight Savings 2014. Now changing the clocks in your vehicle may prove difficult, so we at AutoPark Chrysler Jeep want to help you understand how to successfully set the correct time. All you have to do is click on the links below and follow the drop-down menu to access the online owner’s manual. We hope this helps. Should you still have any questions or confusion, please feel free to call our service department at (888) 923-9538. And enjoy your additional hour of daylight!